Indianapolis, IN (July 2016) As one of the oldest catalog companies in America, the Johnson Smith Company was officially founded in the USA in 1914, as a purveyor of novelties and practical jokes based in Chicago, Illinois. During the 1920s and 1930s, practical jokes and home hobbies provided an escape for people wracked with economic struggle brought on by WWI and the Great Depression. Our 700-page catalog provided hours of fun, fantasy and escapism for the depressed nation, even without having to place an order! After several moves to different locales including Racine, Wisconsin and Detroit, Michigan, the company (including many long-term, devoted employees who are still on staff!) relocated to Bradenton, Florida in 1986, where the operation remains today. The specially-designed facility incorporates all facets of the company’s functions—from catalog layout, photography & copy writing, to warehousing, order processing & shipping; as well a web/online sales team with state-of-the-art technology. The highly-trained, US-based customer service department takes calls 24 hours a day to provide the very best in customer satisfaction. 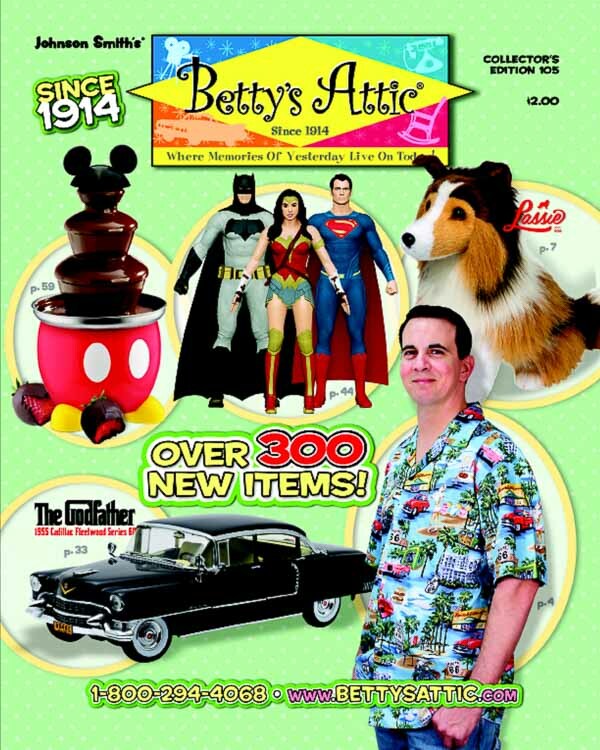 The Johnson Smith Company is proud to feature Greenlight Toys products in two of their four catalog titles. You’ll find a wide selection of die cast vehicles amid the many unusual items in the original Things You Never Knew Existed and as part of the retro offerings in Betty's Attic. GreenLight Collectibles is a premier manufacturer and marketer of authentic die-cast vehicle replicas, scale figures and other automotive-related products. GreenLight replicas are produced under various themes in 1:18, 1:24, 1:43 and 1:64 scales and are officially licensed by the world’s premier automotive and entertainment companies, including General Motors, Ford Motor Company, Chrysler Group LLC, Volkswagen AG, Honda Motor Co., Nissan North America, Airstream, Fleetwood, Winnebago Industries, Gulf, Shell, NYC & Co., Warner Bros., Carroll Shelby Licensing, Paramount Studios, AMC, Universal Studios, Eleanor Licensing LLC, The US Army, Elvis Presley Enterprises, The Steve McQueen Foundation, Sony Pictures, and the Verizon IndyCar Series.